Summer is finally here and I for one have definitely been enjoying the change in the weather. It is still a little bit unpredictable here in the UK as we are still getting the odd rainy dull day but overall things have been looking good and the sun has been shining bright. During Summer for some reason I tend to reach for my every day fragrances more even when I’m just going to work and one that I have been loving recently is *Mia by Ted Baker. 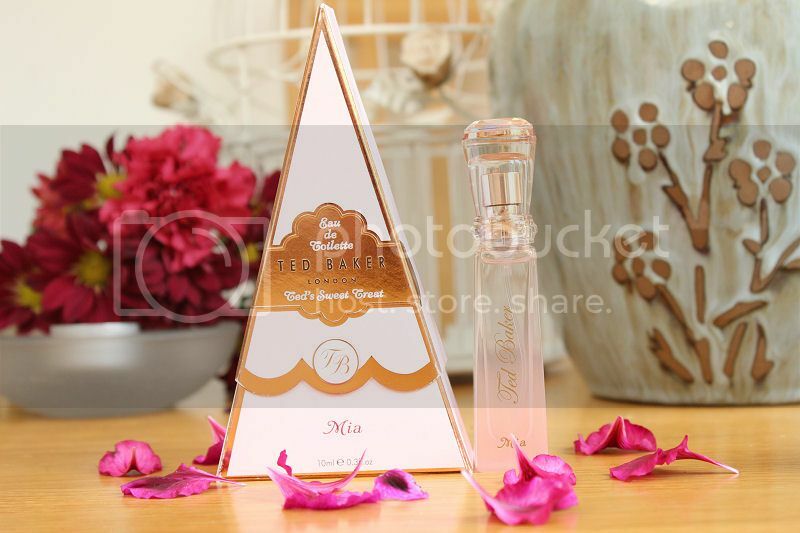 This pretty fragrance is housed in an unusual triangular box which made me believe the bottle would be a similar shape but instead it is completely different. It is a very slimline, light bottle with a spray applicator which is perfect considering this is a scent designed to keep in your bag. It is definitely the smallest perfume I own and without doubt the easiest to carry around. 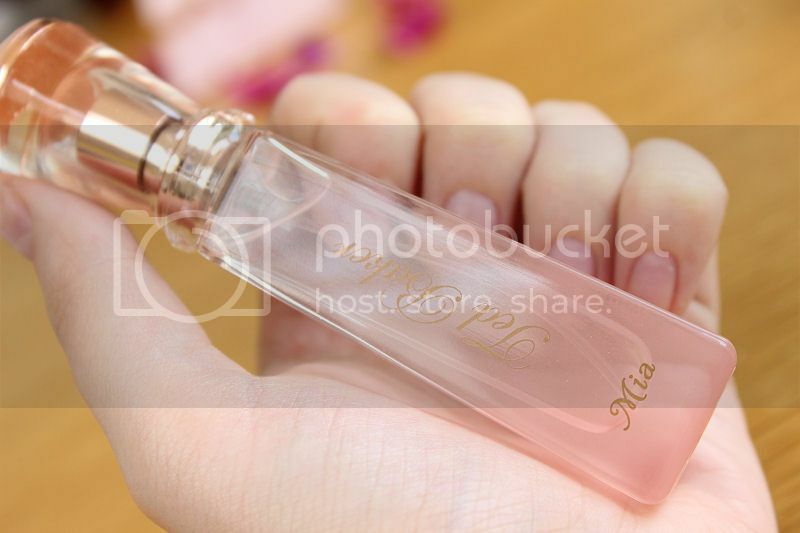 It also has a pretty jewel on the top which finishes off the pretty baby pink bottle really well. which sums up this fragrance really well. 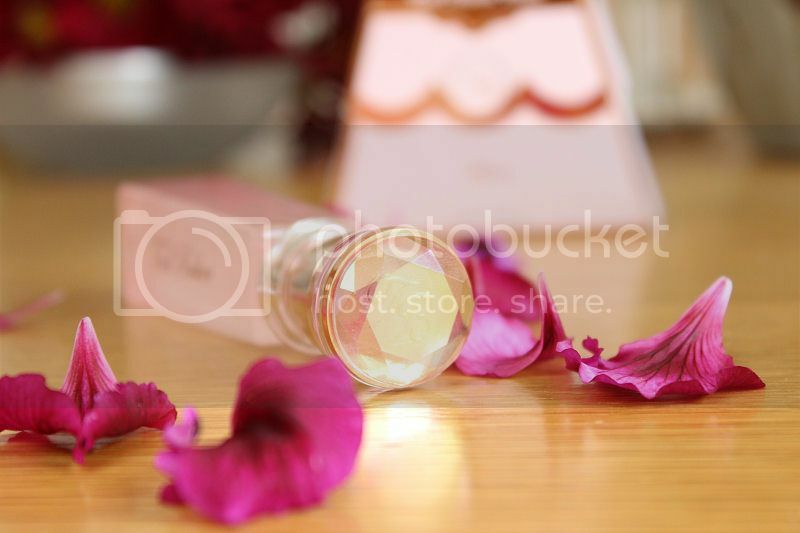 It’s fun and girly yet an intense and sophisticated scent which truly is beautiful. The sparkling top notes of fresh lemon, raspberry, blackcurrant, freesia and rose blooms are combined with a seductive base of warm patchouli and golden amber which make this scent deep, rich and subtly sweet. Mia is a really beautiful scent that I have enjoyed wearing every day since I got it. It’s the first I have ever tried from Ted Baker and has definitely made me intrigued to try more. It’s convenient size is definitely an added bonus. It’s really versatile too so could easily be worn during the day or evening. 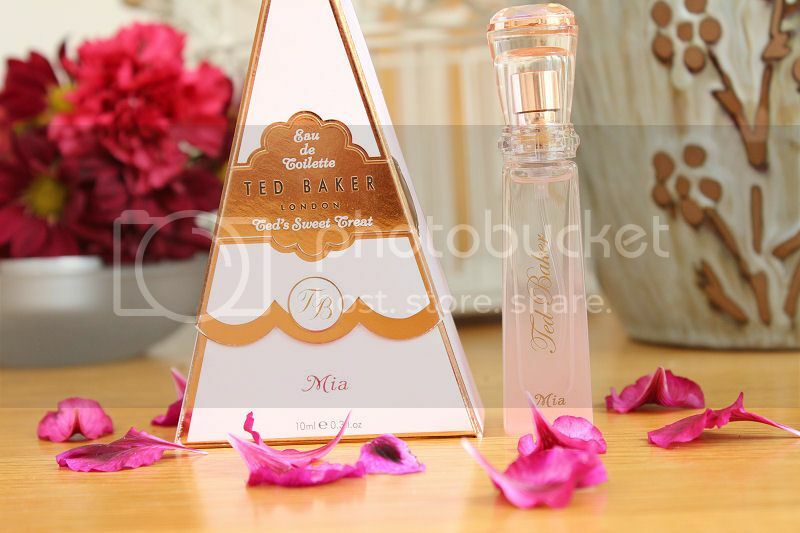 If you want to try Mia it is available at Ted Baker and Boots for £15.00. A bargain price and worth every penny. They are actually on offer for £10 at boots at the moment too so be sure to check them out! This looks so cute. I always think it's a shame to hide perfume bottles away in a handbag but sometimes you do need a bit of a spritz on the go! This looks so cute. I think it's a shame to hide a pretty perfume bottle away in a handbag but sometimes you need a bit of a spritz on the go! So Much attractive and beautiful.